Skipping past the main obvious ones, such as paper, pencils, pens and card, here are the ten items I find myself using most often, no matter what craft I’m doing. 1. 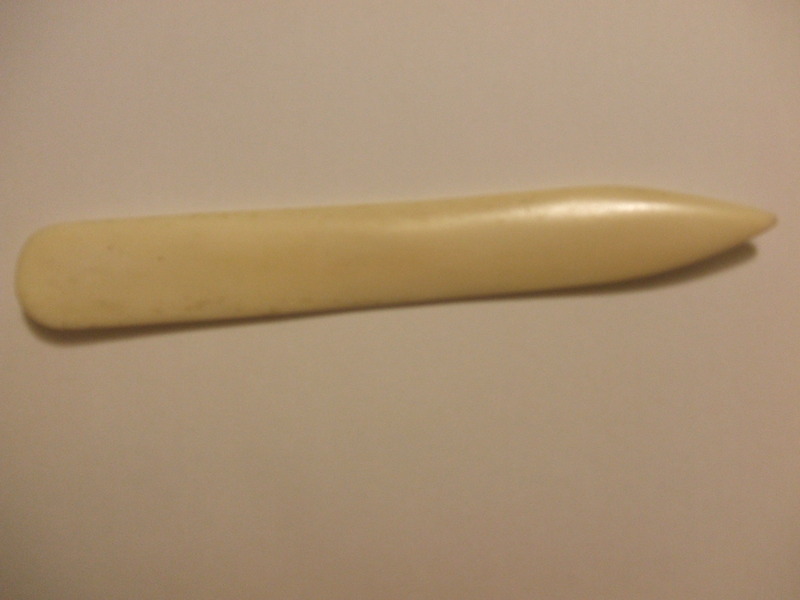 Bone folder- My number one crafting tool. Mainly used for scoring and making sharp creases, but also handy for pressing things smooth when gluing etc. They’re about £4 upwards, and so worth getting. 2. 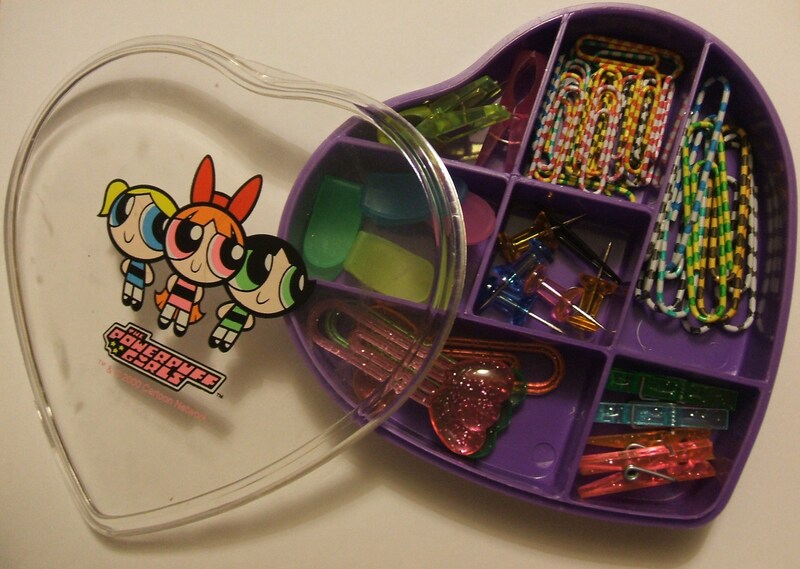 Little stash of paperclips etc.- I didn’t know how much I needed these until I had them! They are indespensable. 6. Drawing board- I have two sizes, A4 for smaller things and sketching, and a big A3 one for larger, messier projects. 7. 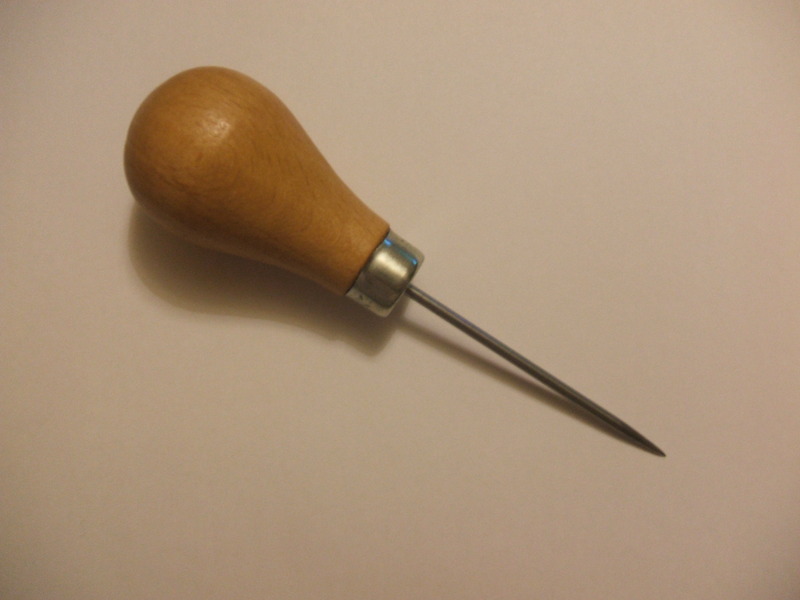 Bodkin/awl type thing- for prodding holes! 8. Good old PVA glue- for gluing! 9. Selection of needles- I use these for vairous crafts: sewing of course, but also in knitting and in notebook making. 10. Selection of erasers- not just good for rubbing out! Larger ones are great for using as a cushion under paper/card when you’re prodding holes through.